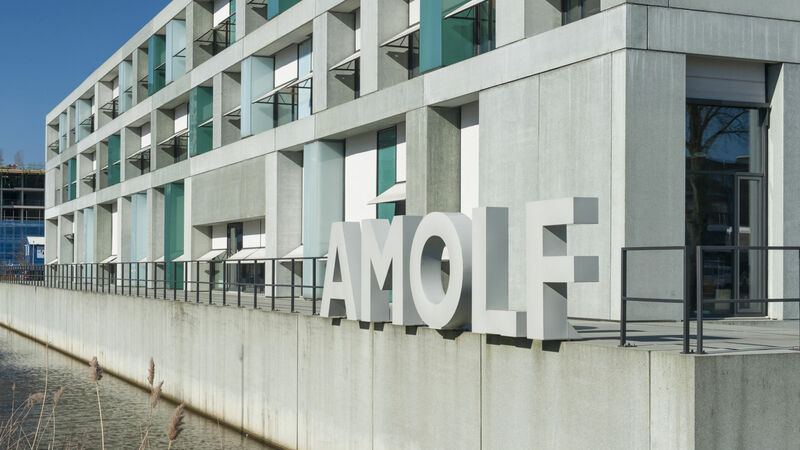 The Soft Robotic Matter group at AMOLF is looking for interns at the Master level that will model complex and emergent behaviour in actuated materials via cellular automaton theory. As nature often shows, complex phenomena can be generated by a multitude of elements that interact in a relatively simple way (e.g. bird flocking behaviour, reaction-diffusion). Higher degrees of complexity can be achieved by increasing the number of elements, or changing the behaviour of the local interactions. An important consideration is the role played by stochastic events: will these events destabilize the system or make it more robust? In this project, the student will develop numerical algorithms to explore the emergence of complex – but robust – behaviour in systems with distributed logic, and explore the potential of using stochastic events. This computational work will then be integrated in an experimental setup, whose components are currently being developed. The setup consists of a robotic material with inflatable pores, in which local feedback is realized through the use of deformation (and other) sensors and microprocessors. Using this setup, can we create a material that automatically moves in the direction of certain stimuli, or that can be cut in two and still function? The Soft Robotic Matter group is part of the Designer Matter initiative, a recently started research line at AMOLF. The group focuses on the design, fabrication and fundamental understanding of materials that are capable of autonomously adapting to – and even harnessing – variations in their environment. We aim to uncover principles that help us understand how non-linearity and feedback can result in the emergence of complex – but useful – behavior in soft actuated systems. To this end, the Soft Robotic Matter group explores active and sensing elements to implement feedback capabilities and computation in soft architected materials, and uses a combination of computational, experimental and analytical tools. This line of research uniquely combines concepts from soft robotics and architected materials, providing new and exciting opportunities in the design of compliant structures and devices with highly non-linear behavior. See also: www.overvelde.com. The internship is open to candidates from a range of backgrounds, including Engineering, Physics, Material science or a related field. The Soft Robotic Matter group is looking for a highly motivated candidate with a go-getter mentality. Preferably, the candidate has a strong computational background, in combination with a sound appetite for experimental work. Experience in Matlab is an advantage, but not required. Excellent verbal and written communication skills (in English) are essential. The internship must be a mandatory part of your curriculum. You have a nationality of an EU-member state and/or you are a student at a Netherlands University. You must be available for at least 3, but preferable more than 5 months. – Motivation letter (max. one page). Applications without this motivation will not be taken into account. However, with this motivation your application will receive our full attention.